How safe is your online reputation? Anyone ever posted something nasty about you on the web? Finding work, romance and friends can become a disaster if you are smeared online. In this book, you'll see how easy it is for someone to destroy your good name and how hard it can be to get it back. With the Internet, untruths, lies, exaggerations are easy to spread. And in this brave new frontier the Internet has become a place where the attackers have gained the upper hand, and the people who are victims are disadvantaged -- but you don't need to feel powerless any longer. If you know how to type in a web address, you can learn how to claim, repair, and monitor your online reputation. There is no software to buy, or computer languages to learn. 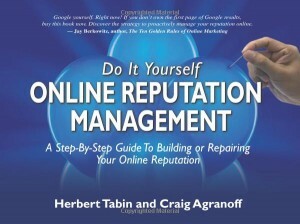 This book teaches you how to get bad stuff about you off Google -- and good stuff on. Anybody can repair an online reputation using the simple, step-by-step guides in this book - a guide that that requires absolutely no programming or web development experience. With this book you will learn: * How to have search engines show what you want them to display about you * How to suppress information on search engines * How to remove information from search engines -- Your future and your reputation are in your hands - and in this case, at your fingertips. Geo-location services--mobile applications that allow users to share their physical whereabouts with their networks--are quickly gaining momentum. 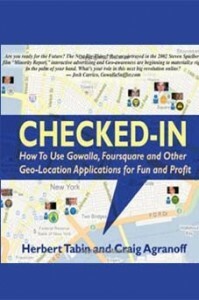 Checked-In gives you what you need to know to both have fun with geo-location and profit with front-runners in this race Foursquare and Gowalla.Jammed with useful and easy to follow information, Checked-In covers how other new players in the game (as well as some old hats) will likely change the landscape and what you can do to stay ahead of that curve. We take you from start-to-finish, showing how to begin with these applications and how to make them work for your bottom line. See how these new social media powerhouses can propel your local and national marketing forward and keep you ahead of the pack. The use of social media and political purposes isn’t entirely new. Many argue that Thomas Paine’s political tract, Common Sense, was an early example of social media in action, galvanizing people in town halls and taverns. Today, blogs, Facebook, Twitter, and other social media platforms are being used to organize movements and amass volunteers for various campaigns at local and national levels. Facebook alone has more than 700 million active users worldwide, and surpasses even Google in page views. At the heart of the social revolution in politics today is the scale and accessibility of the technology that under-girds it. Different from the past, political campaigns, both local and national, can now propel candidates into office by banking on social media’s vast infrastructure. So what part does social media play in your campaign? Do you know what’s needed to win in today's election scene? Are you willing to adapt? 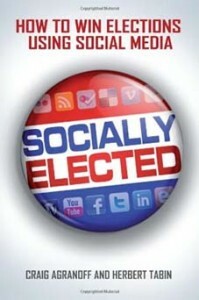 In this book you will learn: How to use social media step-by-step to launch winning campaigns * Why social media matters * Must have social media platforms for electoral success, and * How not to ruin your campaign - The rules to winning elections have officially changed. As a candidate or campaign organizer you can either choose to embrace the new rules surrounding the ballot box or simply plan defeat. Social media is now the game changer. It’s this easy to understand, your campaign can either stay ahead of the curve utilizing social tools or fall way behind it, the choice is yours.